Rogue is a third generation Mighty Michigan Bulldogge. She is out of our produced girl, Cashmere, and our produced boy, Diesel. She is built like a little tank. She is playful with the sweetest disposition. 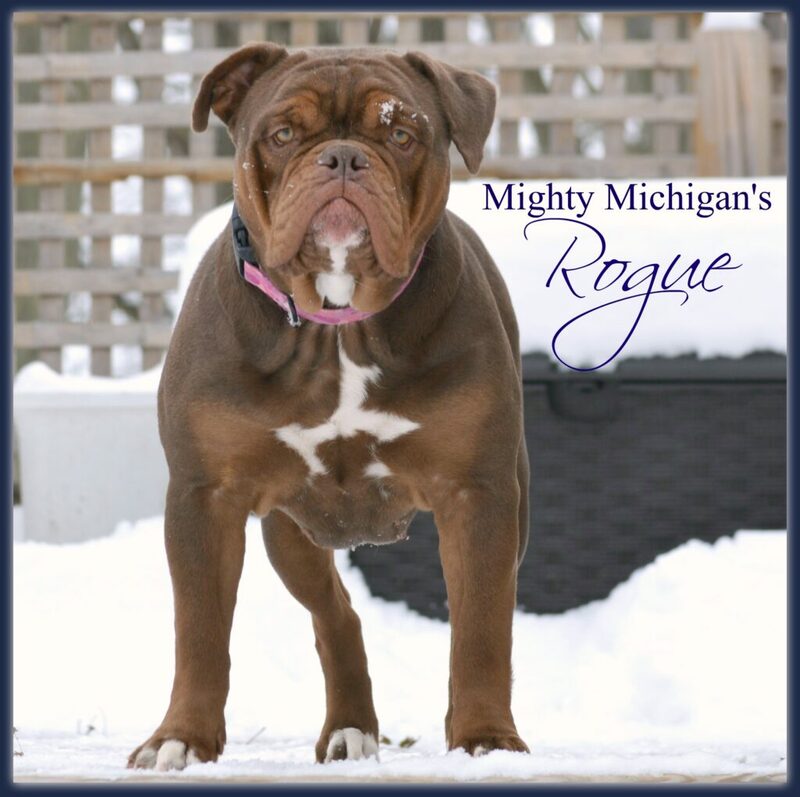 Rogue’s pedigree consists of all “the greats” from Mighty Michigan Bulldogges.